The benevolent works of Philoptochos are a continuation of Christ’s ministry on earth. Each member has an opportunity, through her participation in the ministries and programs of Philoptochos, to return to God a portion of the time, talents and resource with which He has gifted her. Most importantly, a member reaps the rewards that fellowship and sisterhood can offer to enrich her life. Attending school who do not have family and friends. Regular Meetings of the General Membership take place every third Tuesday of the month (unless otherwise noted) at 7:00pm in the East Room of the Hellenic Community Centre. Below is a past schedule of Annual events. For the actual schedule please click on above links. On December 8th, 1943 the Greek Ladies Society of London was formed with 14 members who elected Mrs. Aspasia (Peter) Liabotis as their first President. 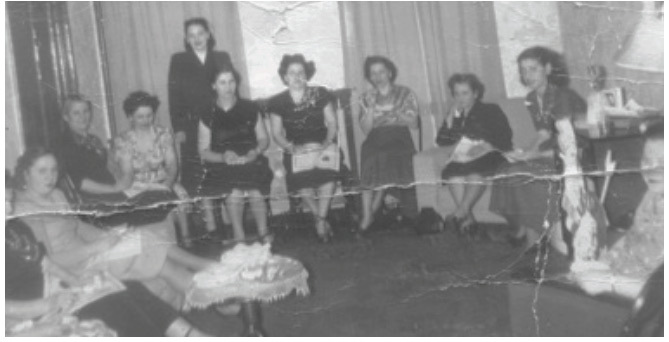 On January 6th, 1955, in conjunction with the opening of the Holy Trinity Greek Orthodox Church, and under the leadership of Mrs. Vasiliki (Philip) Kapelos the Greek Ladies Society became the Greek Ladies Philoptochos Society of London and Vicinity. On June 6th, of that same year, at the dedication ‘eggainia” of our church, Philoptochos donated $2386. to name our church “Holy Trinity”. Our Philoptochos chapter has grown from 14 to 153 (in 2001) proud members. Philoptochos means “friends of the poor” but not only in the sense of financial and material resources. Philoptochos also aids people who are poor in spirit, poor in health, poor in emotional stability, poor in companionship, and those poor in whatever is needed to lead a fulfilling life. Philoptochos is the right arm of the Orthodox Community and is always prepared to assist whatever and whenever needed.